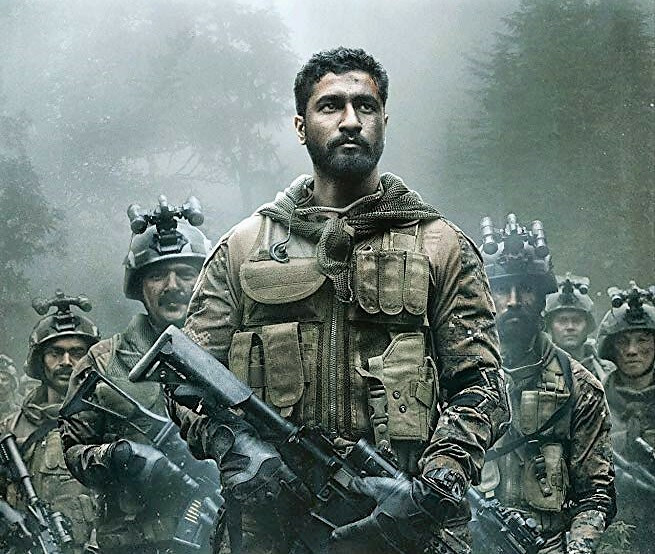 URI: The Surgical Strike, which opens in time for India's Independence Day, is based on a true story about an attack on an Indian army camp in URI near Jammu and Kashmir. Once upon a time, terrorists who lived inside Pakistan attacked the camp. India retaliated with a surgical strike, as featured in the film URI. Director Aditya Dhar brings to life the URI attack with a zesty mixture of fluctuating emotions without demeaning the enemy involved. Dhar slowly and at times draggingly unfolds the scenes of revenge by the Indians for the URI attack. 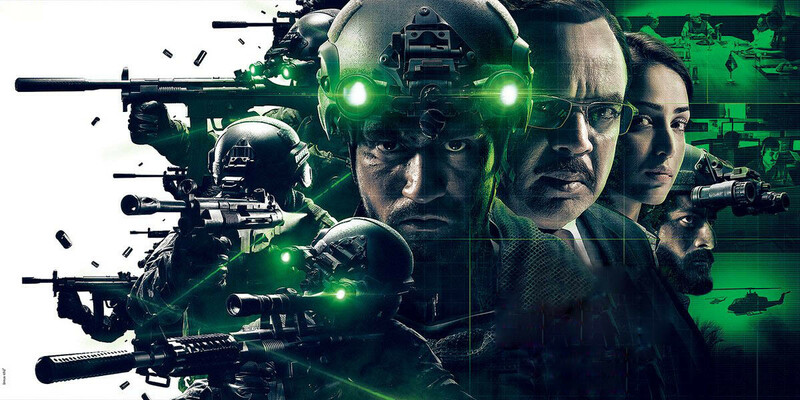 Unlike a typical Hollywood action movie that has one main hero, URI has plenty. Dhar shared the role of the hero among four characters – just like in real life when in actuality heroes are aplenty in emergency situations. He manages to keep his audience's intense attention despite the predictable ending, but still makes the viewers bite their nails in suspense. The exquisite cinematography and editing made for superb storytelling. The cast members of the film are supposedly the best trending actors in Bollywood, like Vicky Kaushal and Yami Gautam. While Major Singh Shergill (played by Vicky Kaushal) is the commander of the mission, national security advisor Govind Bhardwaj (played by Paresh Rawal) leads the administrative team to a successful retaliation with the help of Pallavi Sharma (Yami Gautam). Dhar includes a war scene without bloodshed, so for once I didn’t have to close my eyes during an action movie. Kaushal, who has been very impressive in his previous films like Manmarziyaan and Sanju, is lackluster in URI. Although Kaushal’s character was submissive, some scenes required him to be heated with anger. In the latter part of the film there was a fight scene between Kaushal and a terrorist. While Kaushal was trying to kill the terrorist using karate, a knife and a machine gun, his emotions didn’t show. Although his character kept of asking his team of soldiers, “How’s your josh [anger]?” Kaushal himself didn’t have any. Rawal on the other hand gives a good interpretation of his character as Govind. He plays the role of a low-profile tough man who won’t give up for the sake of his country. In the movie, Gautam – playing two roles, initially as a nurse and then as an agent – is striking in her own way, impressively transforming between roles. URI is not a typical Bollywood film with romantic songs and colorful dances. There was hardly any romance in the script.